Yes, our toilet seat broke. Yes, we can afford a new one and will be buying one VERY soon. But yes, my husband duck taped the broken one for now. 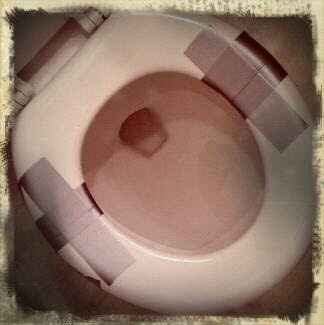 You absolutely might be a redneck if you...duct tape your toilet seat. But we still love rednecks!